Legal scholars spend lots of time parsing Supreme Court opinions, but rarely stop to consider whether the Court’s decisions are implemented as intended. In a recent essay, Cara Drinan takes a hard look at state practices in the wake of the Supreme Court’s blockbuster decisions in Graham v. Florida and Miller v. Alabama. 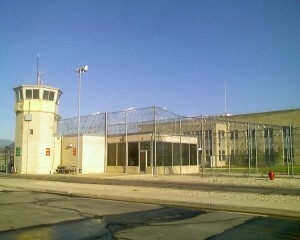 In Graham, the Court held that the Eighth Amendment prohibits courts from sentencing a juvenile to life without parole for non-homicide offenses, and in Miller the Court declared that even juveniles convicted of homicide must receive an individualized sentencing hearing at which their youth and other mitigating factors are taken into account before than can be sentenced to life without parole. Drinan’s essay examines the states’ reactions to these decisions and concludes that many states continue to sentence juveniles to thirty or more years in jail, even for non-homicide offenses, and mostly without the sort of individualized assessment the Court concluded was constitutionally required. Graham and Miller required state legislatures to take pro-active steps to end mandatory sentences of life without parole for juvenile offenders. State prosecutors and judges must also play an important role in implementing those decisions by adjusting sentencing procedures to take into account the youth of the offender. After examining state practices in the wake of Graham and Miller, Drinan found that there has been “great resistance” to the Court’s decisions that has prevented them from having their intended affect. Drinan suggests that if state legislatures do not act, governors should appoint “Miller Commissions,” whose charge will be to identify a range of appropriate sentences for all inmates affected by Graham and Miller, and to recommend a new sentence for each inmate in light of the factors discussed in Miller. Only then does she believe that states will be in compliance with the Court’s mandate in those cases.